The Ford Mustang is the epitome of American muscle and has been around since 1964. Till now, the body style of the Ford Mustang has been still very recognizable by millions of people around the world. The 2005-2009 Ford Mustang GT Came with fog lamps in the center of the grill in between the 2 headlights. 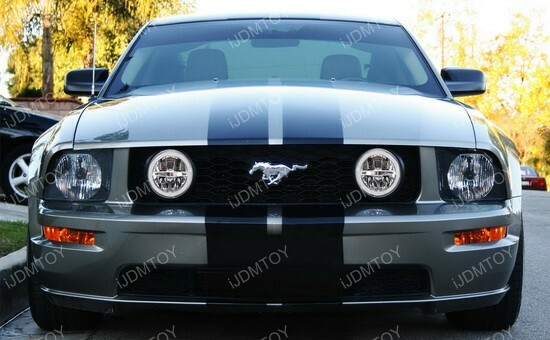 Many people have gone out to change their fog lights to the Ford Mustang GT LED DRL. These feature a halo ring LED daytime running lights that people love a lot.